This was a Star Wars New Canon Universe Novel. I still don't know what the official terminology is for that. I know that the old Expanded Universe is now called Legends... but I don't think the new books, comics, and games have an official classification. I'll keep an eye out for it. Anyway, this novel takes place between A New Hope and Empire Strikes Back. It happens to be the same time period that all the new comic books are in right now. It wasn't ever explored very much in the Legends universe so it seems like they're finally taking a chance to flesh out more of what happens in the middle of the rebellion. 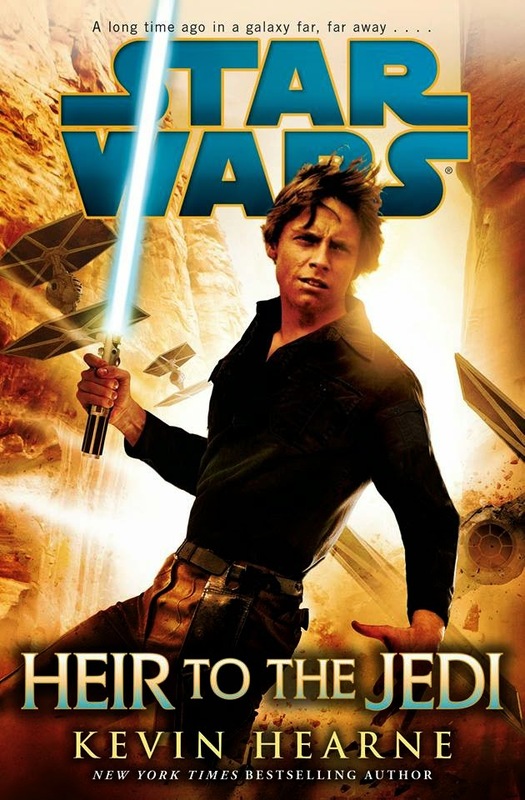 While the novel is about the rebellion, it's much more of a character piece about Luke Skywalker. He's the main character and he's given most of the focus in the book. Luke is just starting to understand the basics of the force and get experience in the wider galaxy. He's breaking out of his farm boy roots and is excited to explore. He's been left without guidance after Obi-Wan was killed and he's unsure about what to do next. Generally, he feels adrift and he's trying to figure out what he should do to expand his Jedi skills. Luke seizes on a chance to do a new mission for the rebellion and it kicks off the story. Most of the main cast is absent, except for R2D2 and a small appearance by Leia. On the other hand there are characters introduced specifically for this novel all of which are interesting and fit in well. I don't anticipate any of them carrying over into future novels, but that's ok. Everything is written in a way to keep the focus on Luke and, in this case, it works. It's a good book, I liked it a lot, but I'm having trouble adjusting my worldview to accommodate the new canon novels. I already know the Legends books so well. Now I need to hold two universes in my head, with two different and overlapping timelines. Despite that, I really enjoyed the book. I would recommend it to Star Wars fans that are interested in easing into the new canon universe that Disney is creating. It's a great point to jump in. I recommend this over the other two books already in the universe, Tarkin and New Dawn. It's definitely better than them and it's more relevant to the main characters in the Star Wars series. Like many of the novels I read now, this one was partially read by me on my Kindle and partially listened to on Audible. I still can't get over how well they sync, it's amazing. The audio book production quality was fantastic with it's ambient sound design, sound effects, and music. I wish all audio books had this kind of treatment. You can happily pick up either format. This is the first book in the canon universe that I can give two thumbs up and recommend to anyone. All you need is a passing familiarity with Star Wars and you'll be able to enjoy the book.